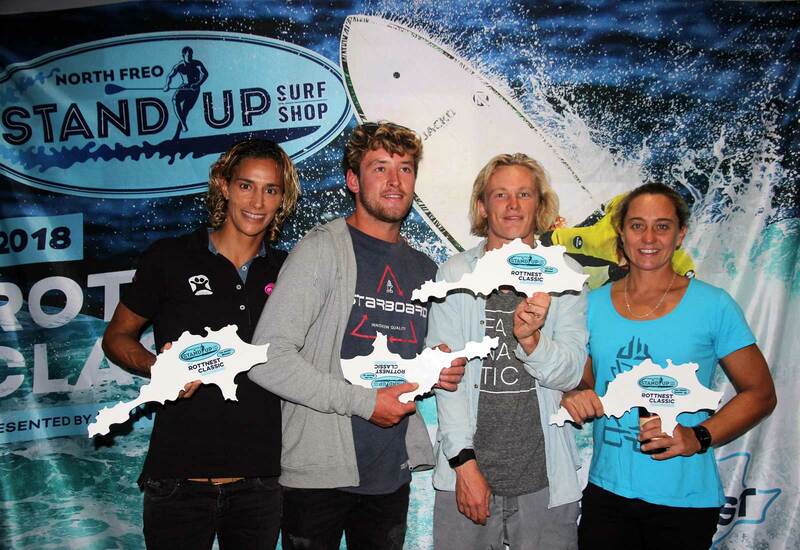 Starboard Dream Team riders deliver exceptional performances in challenging surf conditions at the 2018 Rottnest Island Classic in Strickland Bay, Western Australia. 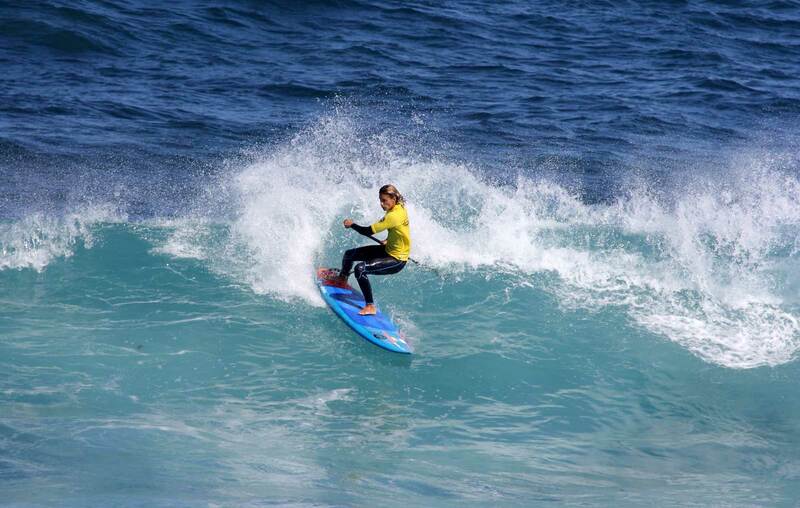 Iballa Moreno (Spain) took the 1st place podium this weekend ahead of Aussie Teammate Shakira Westdorp. 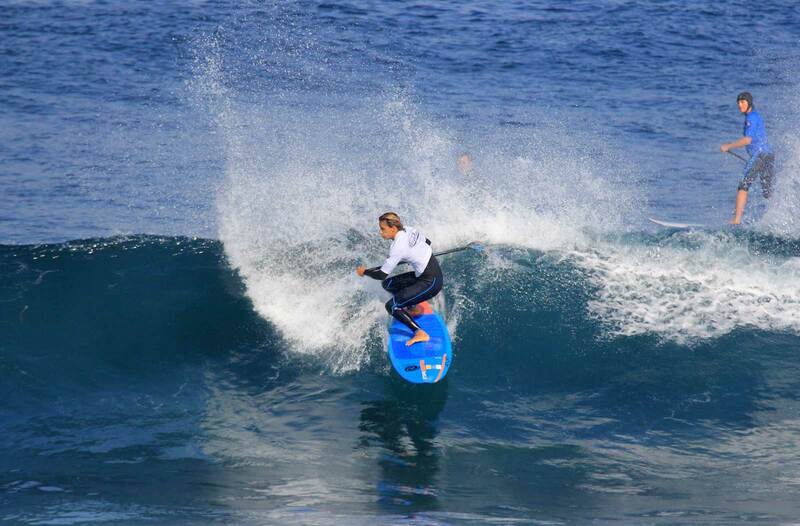 Meanwhile, French Dream Team rider Benoit Carpentier secures a second behind Aussie Kai Bates in a tight fought final. After three consecutive days of great waves and amazing weather, conditions made a drastic change with rain, strong onshore winds and unruly 3-4 feet swells providing a true challenge for anyone who hit the water. 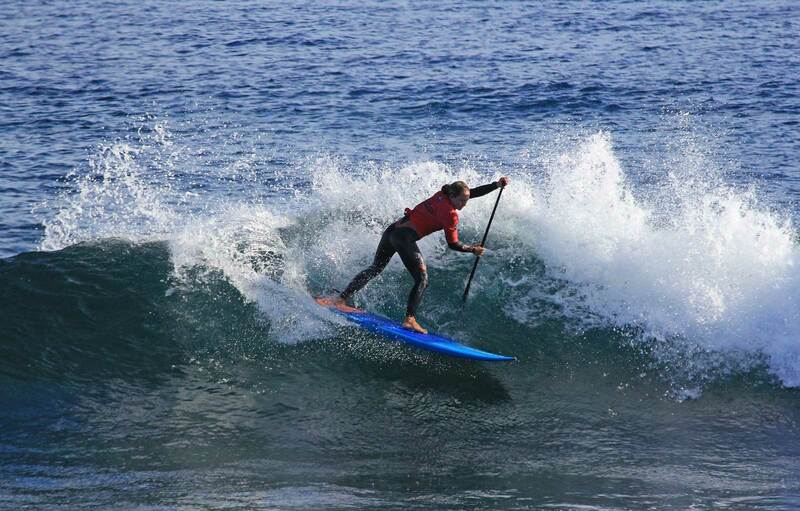 In a gruelling finish to WA’s premier SUP surfing event, Bates became the first male to claim multiple event victories, while Moreno is the first international event champion since the Rottnest Classic’s inception in 2015. Moreno displayed great technique in the tricky and windswept conditions and completed some great manoeuvres to earn a combined two-wave total of 11.34 (from a possible 20). Westdorp found the going tough despite being the form surfer leading into the final. Westdorp posted a two-wave total of 7.83 (from a possible 20). In the hotly contested men’s event, Bates used an impressive variety of critical forehand manoeuvres to score a combined total of 16.56 (from a possible 20), which included an 8.33 and 8.23 to defeated close friend and travelling companion Beniot Carpentier (Brittany, France), who finished with a combined total of 14.83 (from a possible 20). 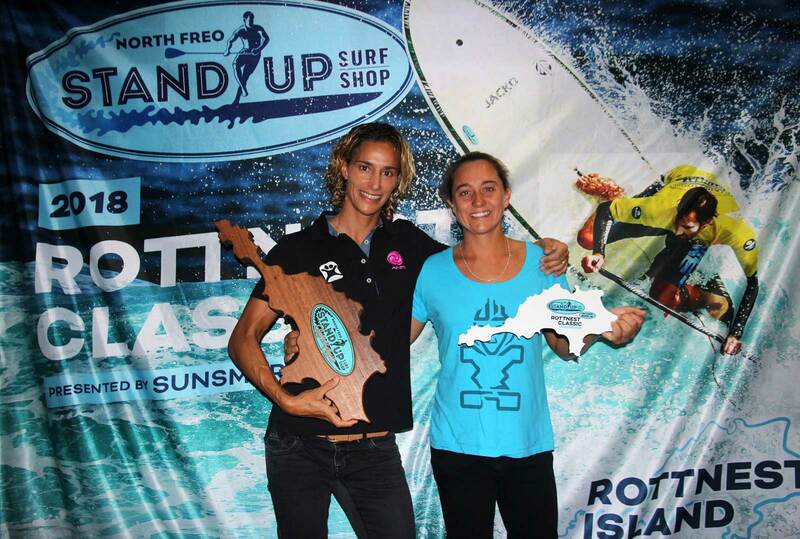 It wasn’t yet over for the ISA SUP Surfing World Champion, Shakira Westdorp as this was a doubleheader weekend with Rottnest Island Classic and Queensland State Title running concurrently on opposite sides of the country. Despite catching coast to coast red-eye flight, Westdorp managed to put in a solid performance to take home her 8th consecutive Queensland Title. On Wednesday 2nd May I arrived in Perth, Western Australia after 30 hrs of travelling, for the Rottnest Island classic. This is the 4th year of running and is one of my favourite events of the year. My boards got lost along the way from Indo and the comp started on the 3rd so no boards for the first couple of rounds. 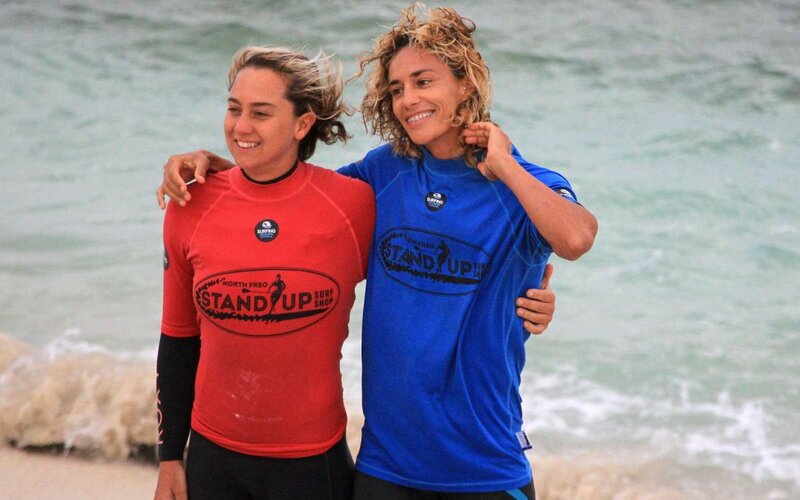 Lucky my starboard teammate Iballa Moreno decided to come to the comp last minute so I was able to borrow her board which is the same as mine (production 7’2 x 24 Pro) so was all good as we were on opposite sides of the draw. 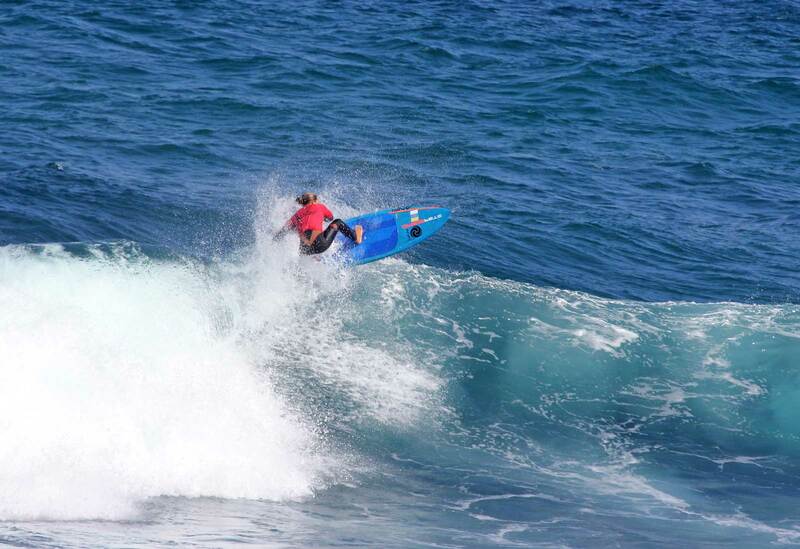 I had high scoring waves throughout the comp and the waves were pumping, my boards arrived just in time for the semis (which were one-on-one) and it was set, me and Iballa for the final! 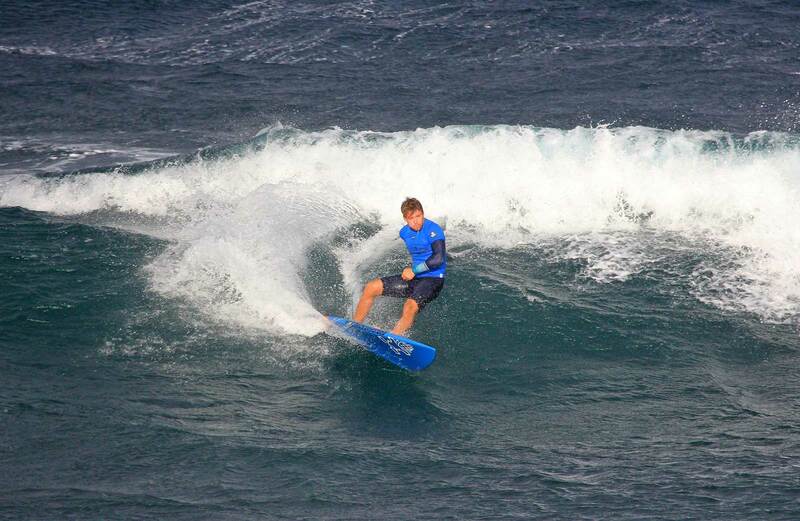 On Sunday – the finals day – saw a big storm front come in and we had to survive howling onshore winds and a rising swell. 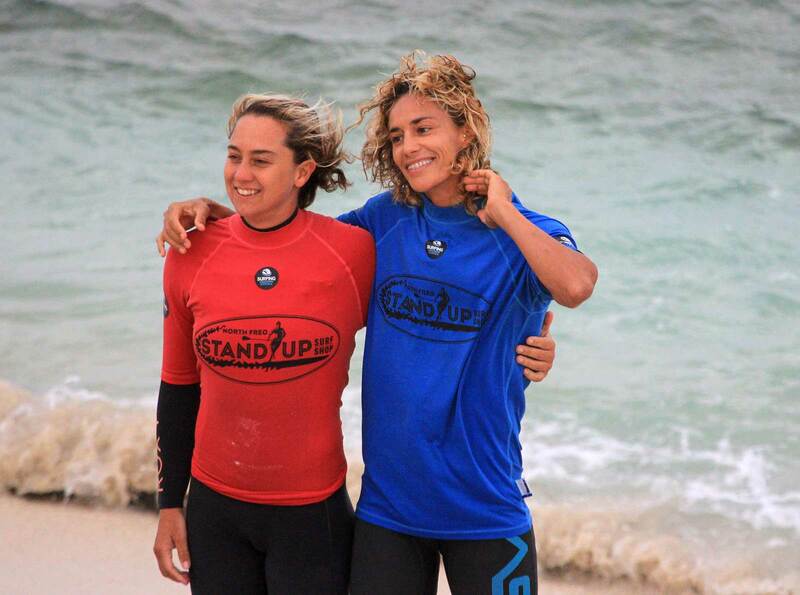 Iballa showed her strength and ocean skills in the unruly conditions and took the win. After the presentations I had to jump on the last ferry off the Island and jump on the red-eye flight to Brisbane, Queensland on the East Coast, my weekend was not over just yet. I arrived at 5:30 am Monday, I grabbed my bags and left the airport for the Sunshine Coast where the Queensland titles would be held. This event is an important one as you need to qualify through your state to be able to compete at the Australian titles which then is the qualification for representing your country at the ISA world titles. I knew time would be tight and arrived 20 mins before my first heat started. I made it to the final and secured the win with a 9.17 and a 6. Winning that event took me to 8 x Queensland State titles in a row.